VietNamNet Bridge - Headhunterz will join Vietnamese French musician Florian Picasso to stir up the music festival in Da Nang this June. Willem Rebergen, better known by his stage name Headhunterz, is a Dutch DJ and music producer. He kicked off his career in 2005, and grew into one of the biggest names in hardstyle music, becoming a major contribution to its growing popularity worldwide. He has performed at major events and festivals, including Qlimax, Defqon.1, Q-Base, inQontrol, Decibel and Hard Bass, and at popular electronic music festivals Electric Daisy Carnival and Tomorrowland. 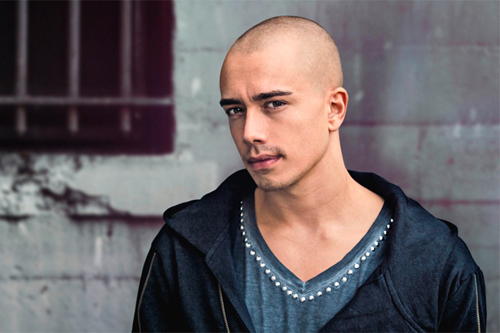 For the majority of his career Headhunterz has released his work on Scantraxx through his own sub-label, Scantraxx Reloaded, but in 2013 he started his own record label, HARD with STYLE. He signed with major North American electronic dance music label, Ultra Music in 2013 and left his own label in 2015, heading for a different musical direction. Florian Picasso is a Vietnamese French DJ from France. He started his musical career in 2011 and has released more than 20 singles and many exciting remixes like Vanguard, Burning Gold or Kirigami. The most successful tune by Florian Picasso is Origami. He has performed at major music festivals, with names such as Steve Aoki, Martin Garrix or Nicky Romero. Recently, Florian released “Sai Gon” to remember where he was born. He said he would play this work at the festival in Vietnam this time. Besides the two world-renowned DJs, the event will have the participation of Vietnamese musicians such as Minh Tri, Huy DX, SlimV, Mike Hao, and Get Looze. The Danang Electronic Music Festival will be held on June 11.